Vitamin C is eroded from the human body every six hours. In people with hypertension, vitamin C is deficient in the blood. 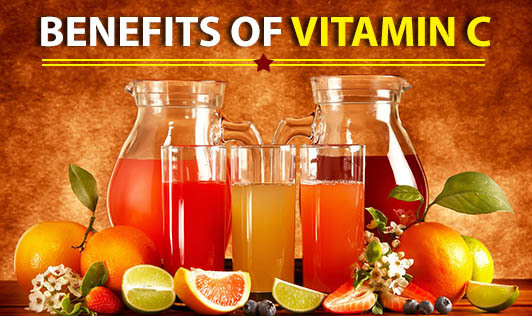 An abundance of vitamin C in the blood, reduces the pressure in the blood vessels, hence lowering the blood's pressure. Vitamin C is also necessary for creating ATP, dopamine, peptide hormones, and tyrosine. As a powerful antioxidant, vitamin C helps lessen oxidative stress to the body and is thought to lower cancer risk. Vitamin C deficiency is detrimental to immune function, resulting in reduced resistance to some pathogens. Routine supplementation is not indicated in the general population, though there is some evidence that it reduces symptom severity but not incidence of the common cold. Effects are most pronounced in cases of physical strain or insufficient dietary intake. Vitamin C is a natural antihistamine. Which means those prone to allergies who take anti-allergy tabs like cetrizine regularly, will benefit from supplementing with vitamin C and reduce seasonal allergies significantly. It both prevents histamine release and increases the detoxification of histamine. A 1992 study found that taking 2 grams vitamin C daily lowered blood histamine levels 38 percent in healthy adults in just one week. It has also been noted that low concentrations of serum vitamin C has been correlated with increased serum histamine levels. Rich sources of vitamin C are oranges, bell peppers, tomatoes, guavas, herbs, papaya, straberries. Recommended dosage for those with allergies: 500 mg x 3 times a day (after meals) combined with 10 mg of zinc x 3 times after meals.